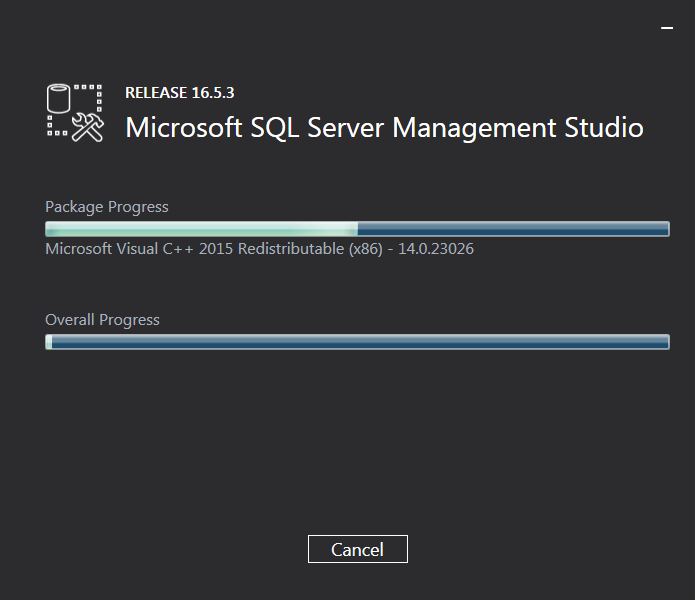 How to Repair SQL Server Management Studio. Applies to: SQL Server Management Studio 16.x.x. 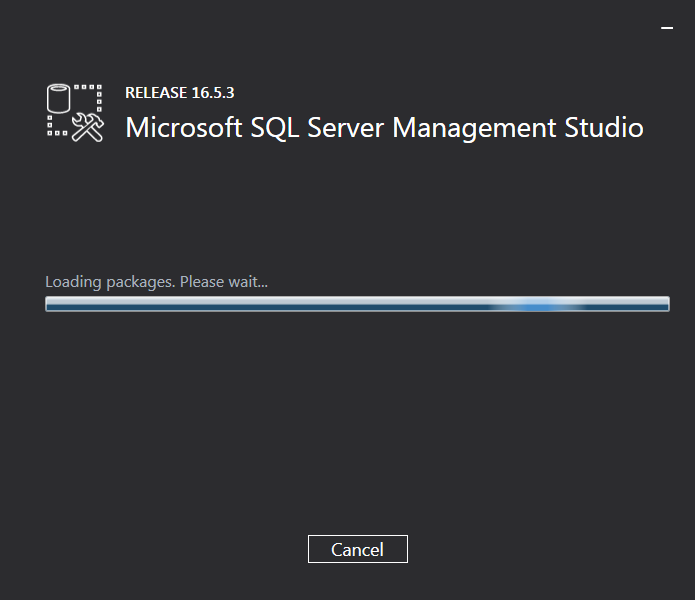 Sometimes you may find that SQL Server Management Studio (SSMS) has stopped working or is crashing after a few hours. 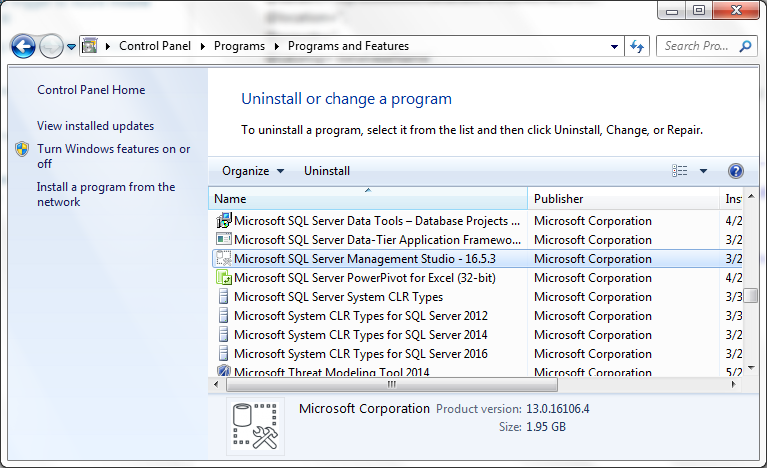 One of the available options to deal with this is to install the latest build of SSMS from here. Another option is to run .NET Framework Repair Tool which you can download from here but you could also try to repair SSMS to solve the issue. 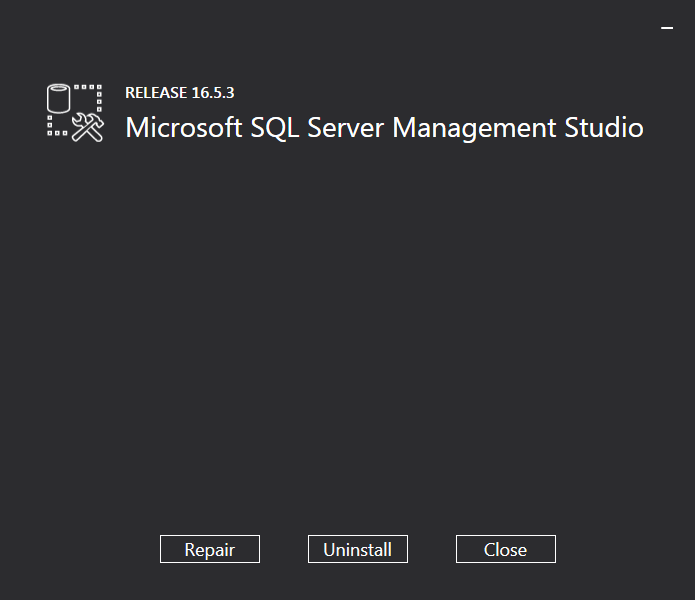 To repair Management Studio open Control Panel, go to Programs and Features, locate SQL Server Management Studio using the scroll bar and make a double click on it. 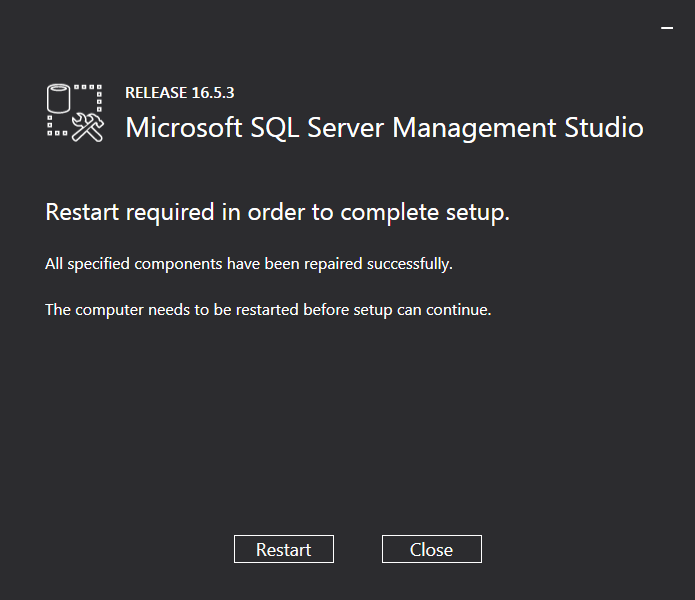 Once the SSMS dialog appears on the screen please click on the "Repair" button. Once the repair process has finished make a click on the "Restart" button or close the dialog and restart the computer when possible.